Red, brown, beige and green square pier caps. 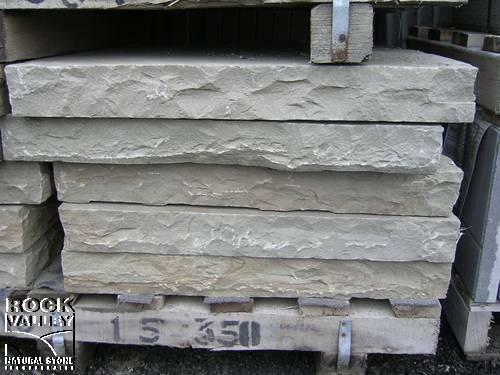 Natural top, calibrated bottom and 4 sides rock-faced. Typically used for capping pillars.